The language we use serves to frame the value we put on events and things. A recent conversation brought a light-bulb moment for me. And I look forward to taking this example of re-framing further to review other aspects of my life. A visitor asked for a tour of my balcony garden. 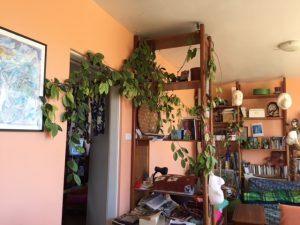 I’m always reluctant to bring attention to it as it is very untidy and disorderly. As I stepped into the small area, about to begin my tour (the area is the size of 4 baths! ), these light-bulb words came out of my mouth: ‘it’s not a garden, it’s a laboratory’. Suddenly I realized why I’ve always felt uncomfortable about calling it a garden. The expectation for beauty, productivity and knowledge weigh heavily. But it now makes complete sense to me to see it as a laboratory – a valuable, but different project, than a garden! There are trials, practices and experiments being undertaken! Letting salad greens go to flower, to attract bees and other pollinators. Allowing the flowers to seed, to then have our own supplies of organic seed. 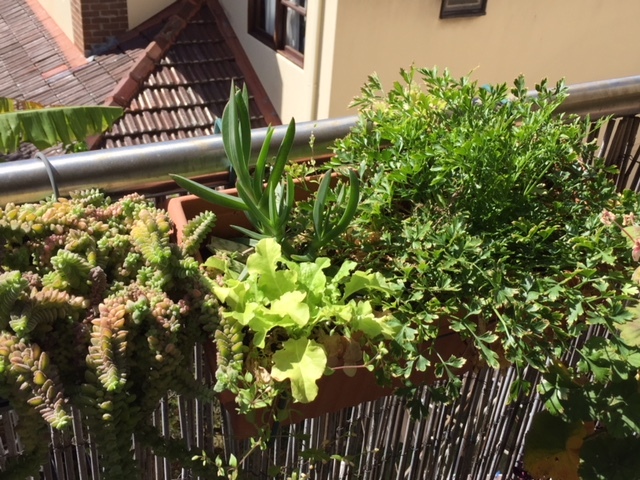 Striking cuttings from neighbourhood gardens that might therefore grow well in local laneways. So no more apologies from me about not being a good or tidy gardener. My interests lie more in learning from experiments than in the production of an aesthetically pleasing result! And come to think of it, I’m more of a botanist than a gardener, a learner than a food producer.